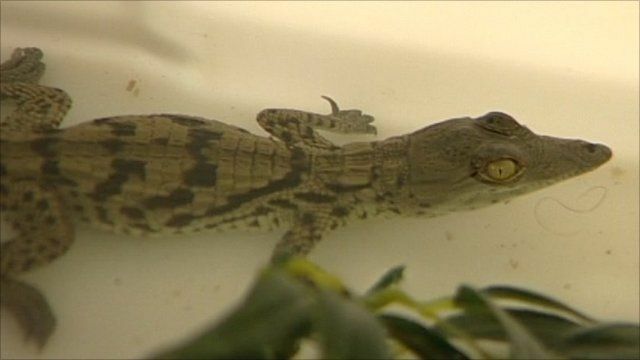 A farm in Cambridgeshire thinks it has made history by being the first in the country to hatch Nile crocodiles. Staff at Church Farm near Huntingdon have been attempting to breed them for six years and finally they have succeeded. Crocodile farmer Andy Johnson says, "he loves working with them, just like people like riding fast bikes or motor racing".